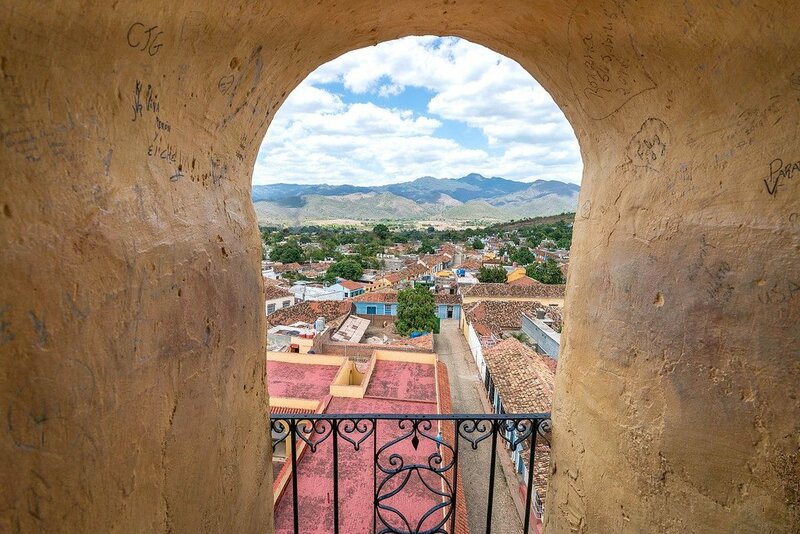 Trinidad is located in South Central Cuba, a 5-hour drive from Havana by car. With our rental car, we took a longer route through Playa Giron, a nice way to break up the trip and go scuba diving at the famous Bay Of Pigs. By bus, it’s a 7 hour trip from Havana and costs $25 USD/CUC. The Viazul Bus terminal in Havana is located at the corner of Avenida 26 and Avenida Zoologico. You often have to buy tickets at the station one day in advance. Excellent casa particular (homestay) run by a very nice Cuban family. Comfortable beds, good breakfast, and AC. Trinidad’s nicest luxury hotel. Caters to adults only. Beautiful classic building. Extensive breakfast included. Everyone and their grandmother is trying to sell you something. Taxi rides, cigars, casas particulares, bicycles for rent, or they want to show you a great restaurant their cousin owns. Don’t lose your cool. Be nice, but firm, and say no thanks. 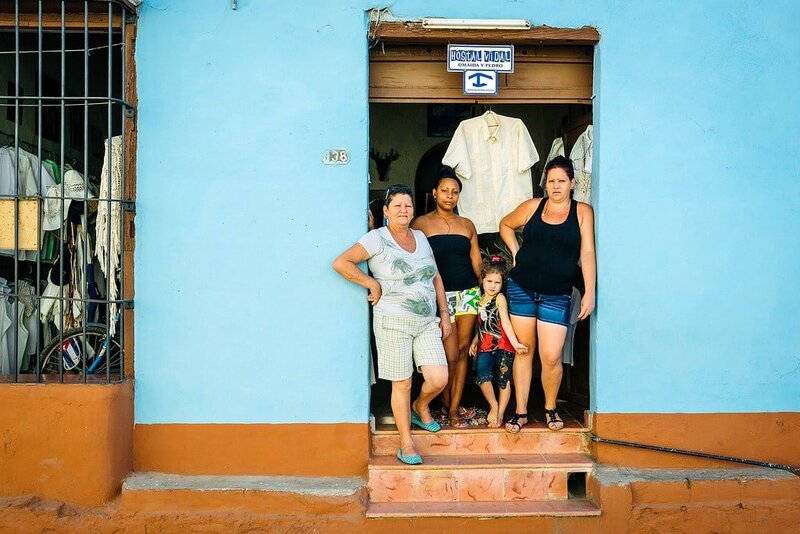 You really can’t blame them for trying — Cubans don’t have many options for earning extra money — their government salary is about $30 per MONTH.< Independent travel in Cuba is raw, challenging, and refreshing, but the hustlers can be annoying sometimes too. Trinidad is really awesome! Did you try coche colonial? It’s a horse carriage that takes you around the city. Another thing we tried was the beach – Playa Ancon was nice and not crowded in July, although you don’t recommend it. Really enjoyed your post. We are planning on doing a similar trip — 2 nights in Havana, a night in Playa Giron for scuba, and then based on your post 3 nights in Trinidad then back to Havana. Trying to decide if we should rent a car or hire taxis. 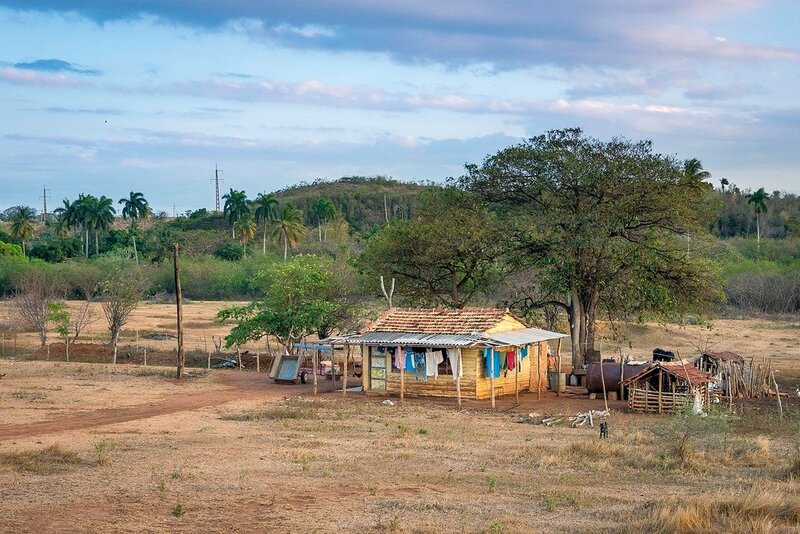 I’ve heard that it can be difficult to drive in Cuba given the poor road quality and lack of signage — did you find that to be the case? Aklso how much did the rental car cost? We are considering just hiring taxis and splitting the costs (there are 4 of us total) but is it difficult to find taxis to go all of those places? 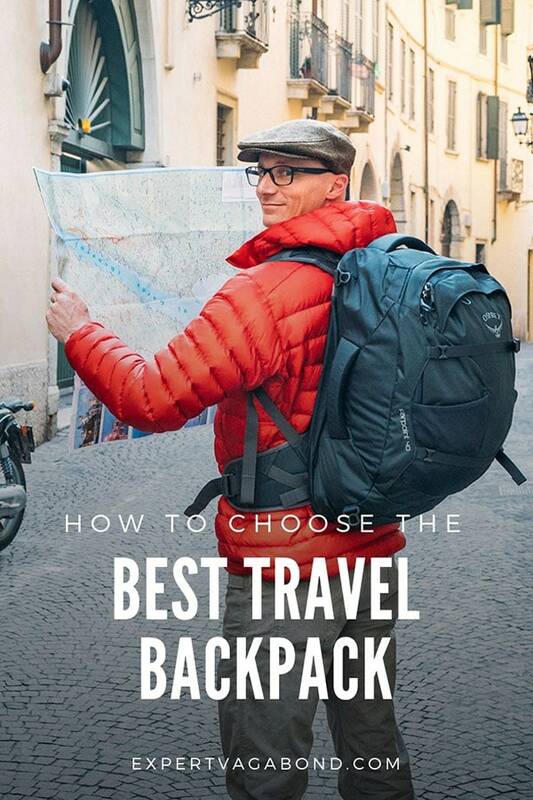 What would you recommend? Also do you suggest that we go anywhere else? 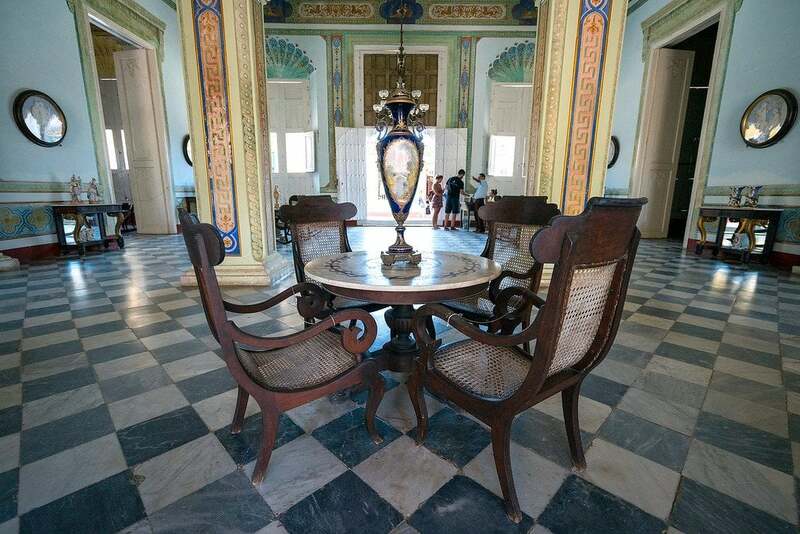 We have some flexibility on how many nights we will be in Cuba total (6 to 8 nights). Your right two days in Trinidad is just not enough. The best time to explore the historic centre is early in the morning or after 5pm, as it’s nice and quiet then. Outside the main drag around Plaza Mayor, you can loose the tourist crowds and the touts they attract. 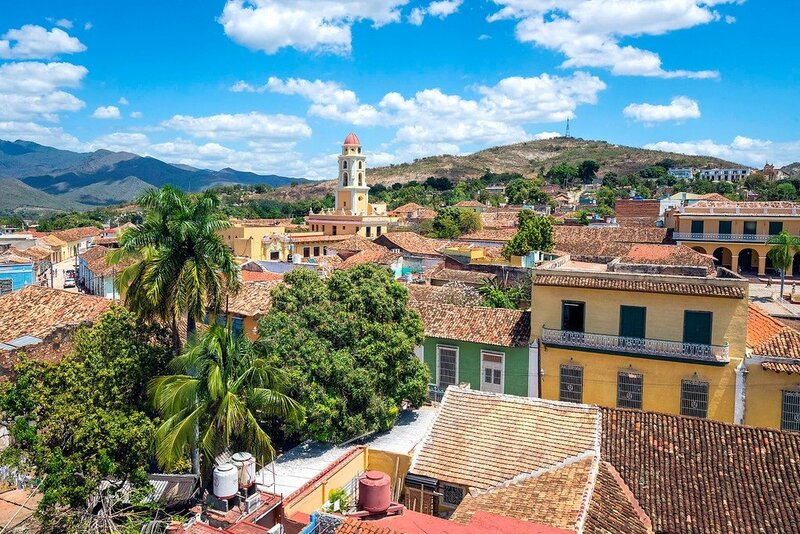 You will be rewarded with a glimpse of everyday Cuban life – a game of Dominos, the baseball stadium, the large Saturday Morning Market, the Agro Growers, the endless Punta de Ventas, Pizza and Cafeterias operating from local’s homes. 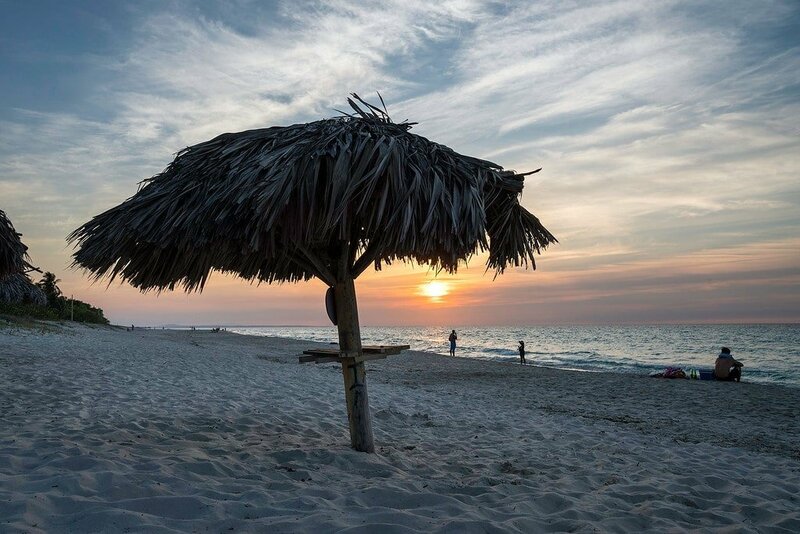 Go a little further and you will find 13 beaches, many great for snorkeling and by staying away from the touristy Playa Ancon, you can find a nice quiet beach for yourself. Try the new zipline canopy ride at the mirador (viewpoint). During the spring and summer wander out to the thousands of mango trees just outside the city, locals will be offering mangos by the bucket, literally. The Escambray mountains are huge and there’s plenty of local coffee Farmers to meet or find a small waterfall. In the summer, when it’s really hot, you can get a day ticket to the hotels with pools, for $7cuc it includes admission, food and drinks. Las Cuevas gives you a view over the City and the Caribbean Sea, in Ma Dolores, it’s really tranquil in the foothills of the Escambray mountains, on the way to the El Cubano National park. The city has it’s carnival the last weekend in June and the local ‘cowboys’ ride their horses furiously up and down St Ana Street. The second week in January is the city’s birthday and culture week, with lot’s of free entertainment. For budget Casa Particulares look to pay $20-25cuc per room per night. A large room can accommodate up to 4 travelers. Most places in Trinidad are no more than a 10 min walk, so you don’t need to pay the high prices demanded by the big casas around the terminal and Plaza Mayor. With around 2,000 casa particulares in the city, the two fishing villages and Topes de Collantes, there’s plenty to choose from. I’ve lived here for the last 4 years, lead local tours and run a Vegan / Veggie Casa (On TA and Airbnb). Hi, can you tell me about the beach not far from Trinidad, is it worth the trip sand flies etc? Also where would be ideal to go from Trinidad to work our way up to the west coast. We will be in trinidad for 2/3 nights then have 2/3 nights to get to the west coast. 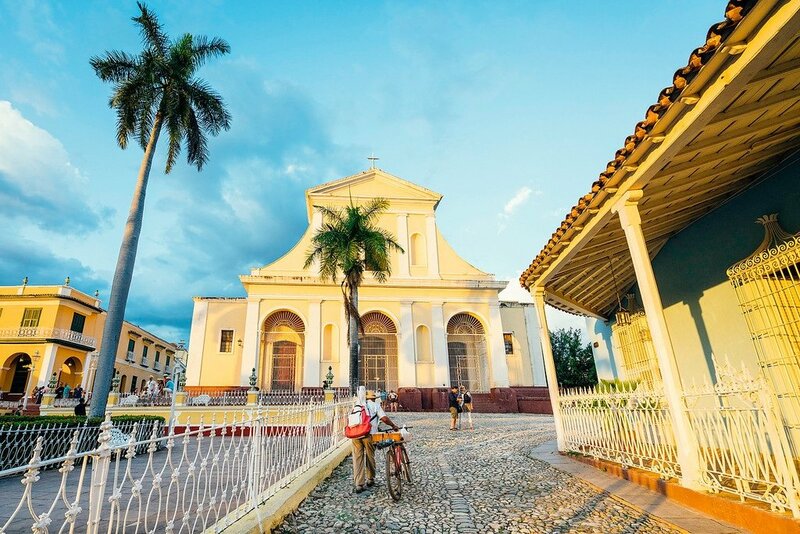 We just returned from Cuba and fell in love with Trinidad. We went on a hike that had 360 view of the ocean, went to a nearby beach (Play del Este) and enjoyed the restaurants, nightclubs and the quaintness of this little town. We stayed at an amazing “casa particular” (like a bed and breakfast) called 3 Torres. The owners a couple of doctors were amazing, Noel and Yaimara, and their grandmother (a character!). They serve you breakfast on the terrace and help you with anything you need (even medical advice in case you get sick). They are not on Airbnb, but I got pictures if anybody is interested. Would love to know about them! Please send me information so I can contact them. love your info and pics man – I am an amateur videographer and just love the visuals you portray. 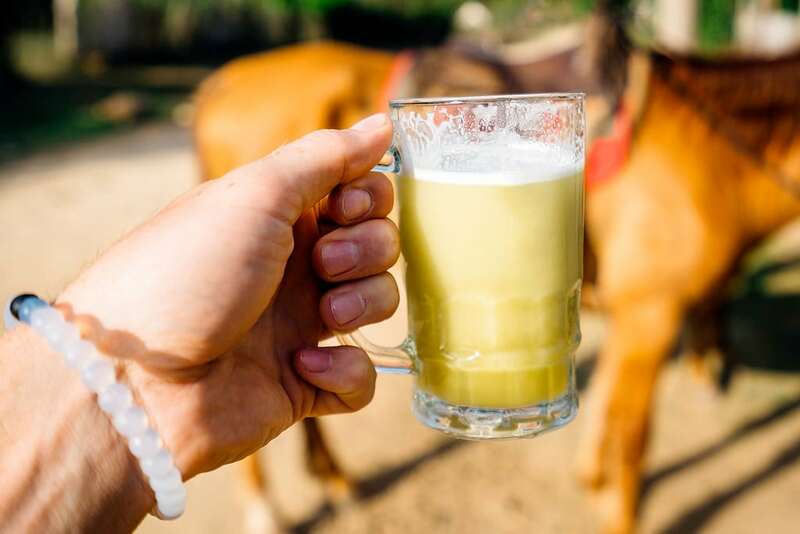 but if I go to Vinales for instance and take a horseback tour (I have never been on a horse) is it feasible to get off when I see a video opportunity? I am 75 and may never be able to get on again? I could actually feel the splash of colors through the pictures. The description of the articles transported me into that place. Thank you for sharing the information. It’s an excellent city with a lot of memories. You fabulous photos made me remember about this cute city. Colorful houses and cars. Photos looking great! My grandmother has roots to Trindad and as of next year I actually plan to dig more into my family tree. This article gave me a great feel for what to expect when I do visit. Thanks for the article. I hope to share similar experiences on my blog. Safe travels! Thank you for this blog and such useful info! We are planning to go in August of this year. Our plans weren’t including Trinidad, but now….we just might have to add a couple of days to our vacation as it’s two extra days just for the travel to and fro. 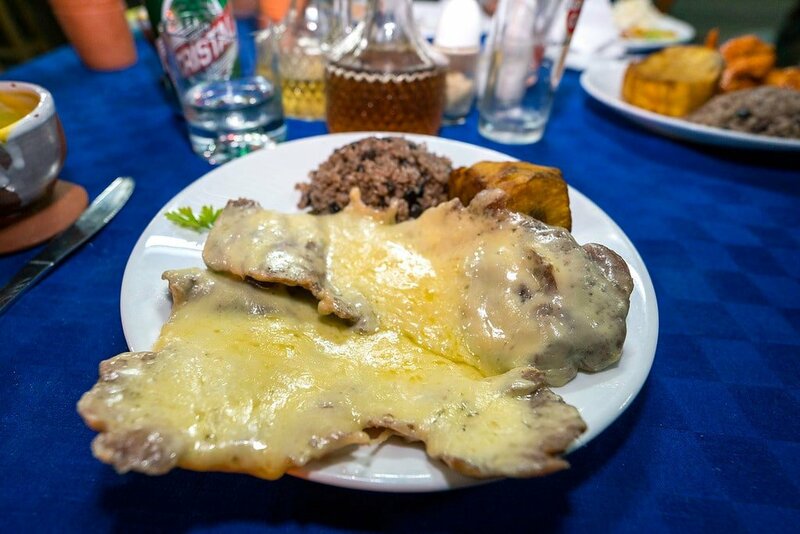 Do you think the Cuban vibe is now more authentic in Trinidad vs Havana? 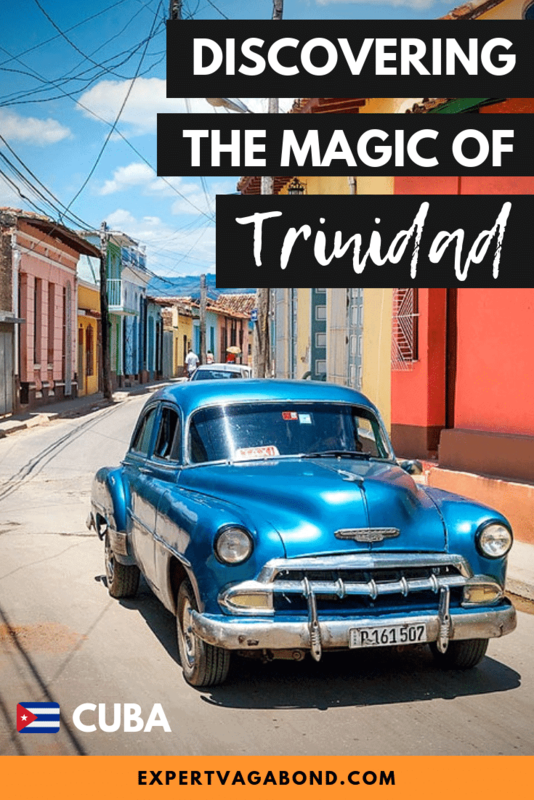 We were going to stay in Havana for three nights, but perhaps two is enough if we venture to Trinidad? 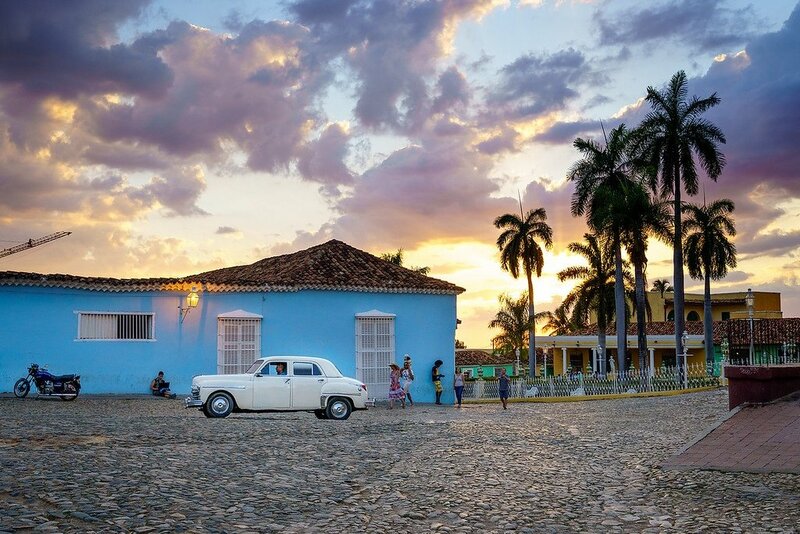 What stunning photos – you’ve really captured the vibrance and flavour of Cuba in your photographs and with your words. It seems like you’ve had an incredible time; and its amazing that you soaked up so much local culture too! It’s hard to say, but I felt in love with Trinidad because of your photos. They look so peaceful and calm. An amazing place. How is it communicating there? my Spanish is.. well.. not good to say the least. My husband and I are going in june with our 2 year old daughter. we cant wait! 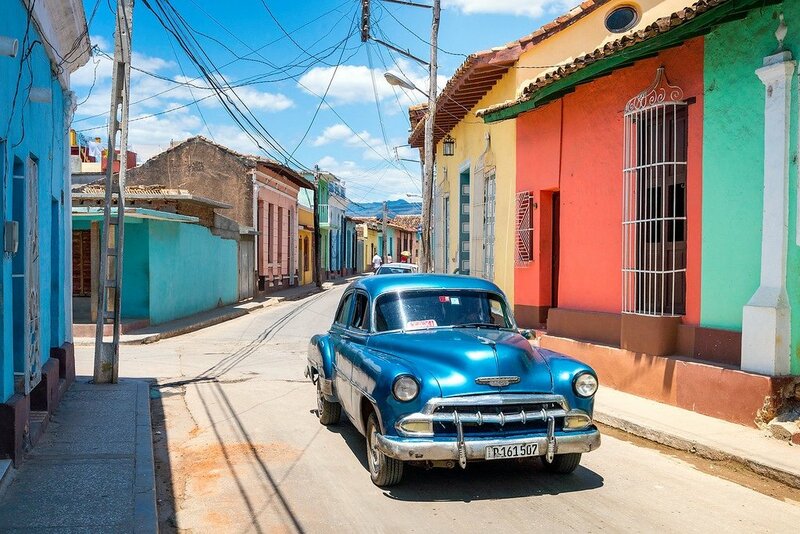 It seems like you’re being transported back in time when you’re in Cuba. 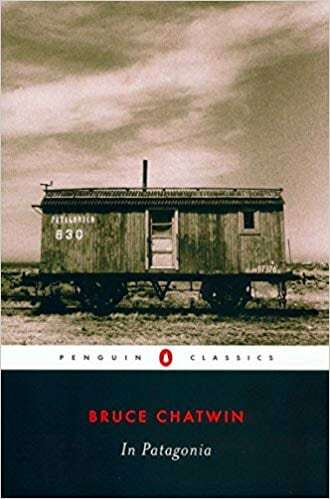 I hope it doesn’t lose its authentic charm for future travelers. 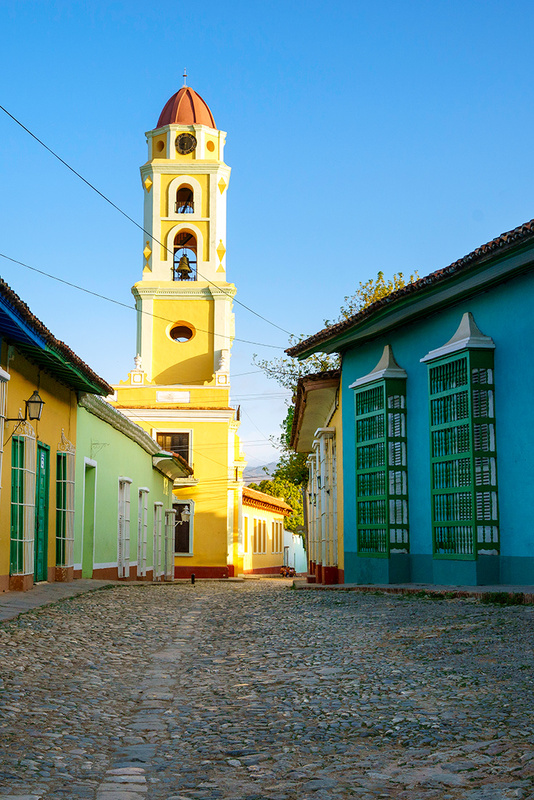 The nickname of Trinidad is the Sleeping Beauty of Cuba. 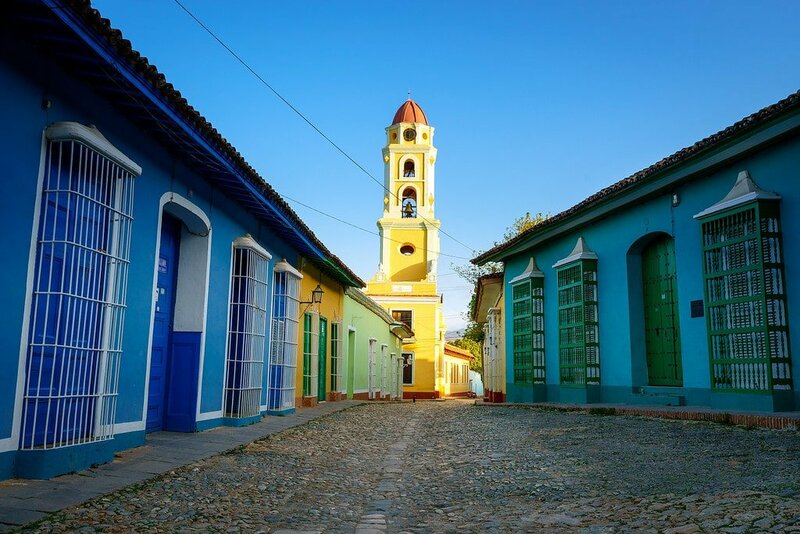 The blog is really amazing And the information you provided for Trinidad, Cuba is very awesome. Keep it up and keep writing such good blog. 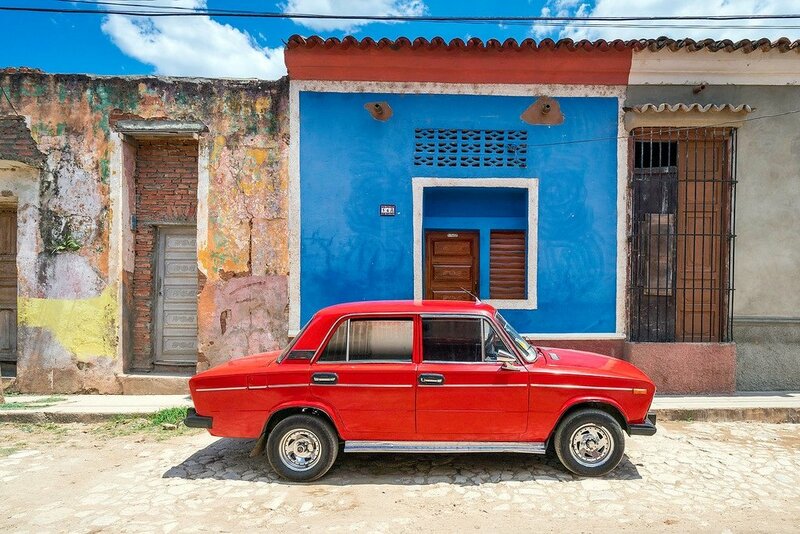 The pictures are so beautiful and it enhance the real beauty of Cuba. While looking at pictures, it urges you to visit Trinidad, like right now! 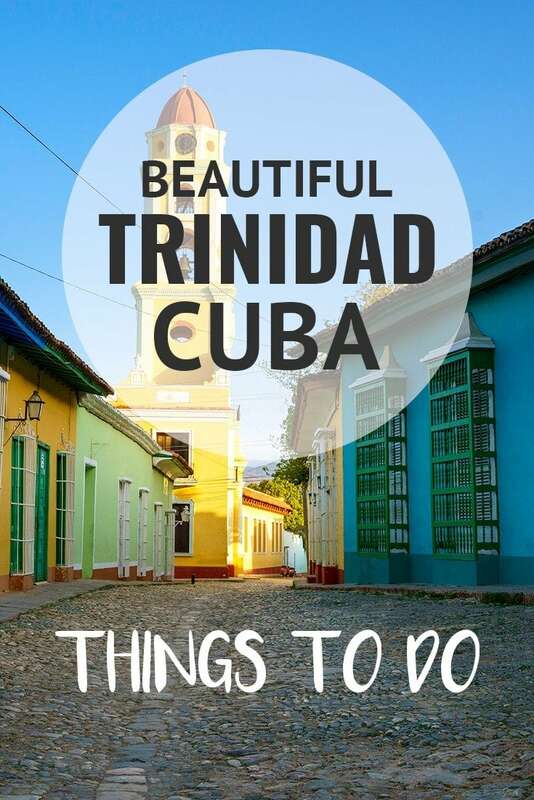 What an outstanding spot … more Americans should take advantage of the cultural tourism provision between the Cuban government and the USA and see places like Trinidad! Wow, the photos really remind me of Granada, Nicaragua. I guess that makes sense though since they’ve both got the same Spanish influence. Most people I know tend to just to the all-inclusive Cuban beach vacation but independent travel would definitely be more my speed. 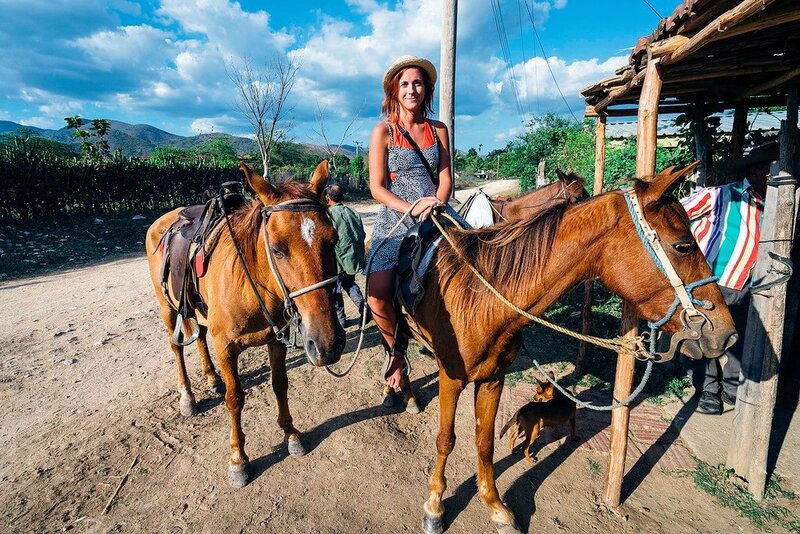 While resorts can be fun if you want to relax by the pool or beach all day, I agree that independent travel in Cuba is much more interesting and educational. 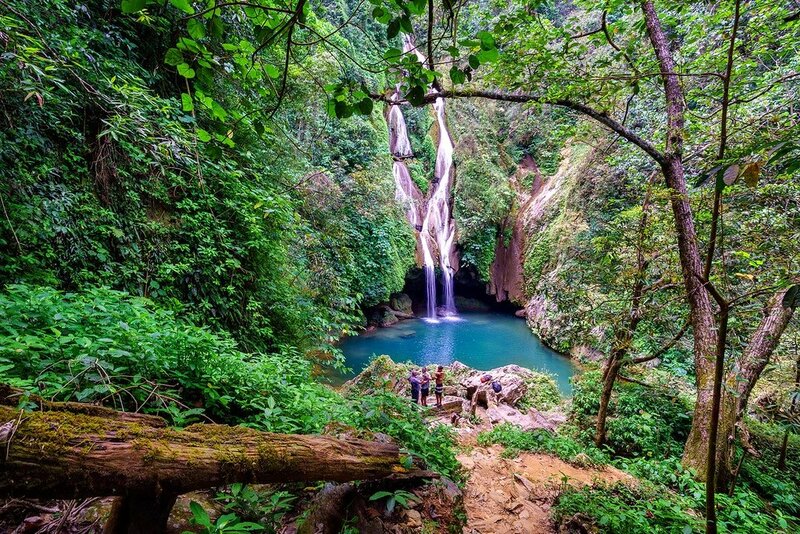 There’s so much to do in Trinidad! I love how your photos show how beautiful, vibrant, and colorful Trinidad is. 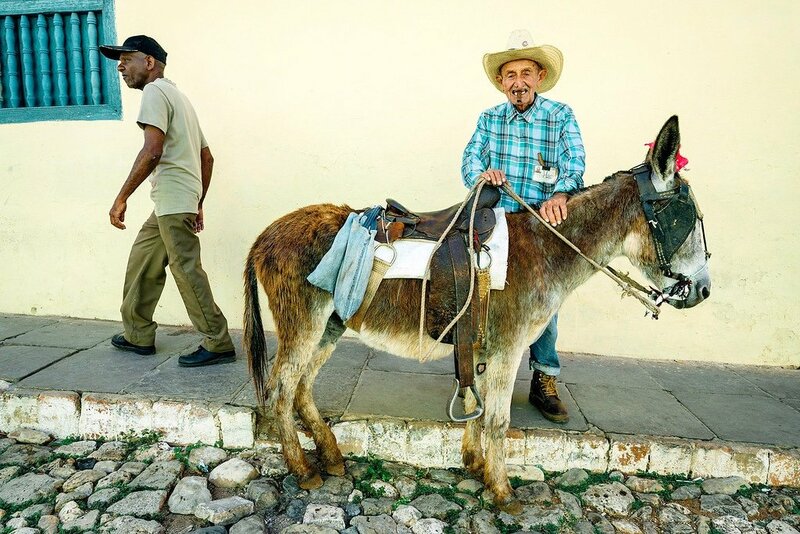 A couple of things I’d definitely want to do when I do visit there is to check out the Cuban food, go horseback riding, and visit that beautiful waterfall! I really do appreciate your tips. It’s very useful info! Can’t believe I missed Trinidad when I went to Cuba a couple of years ago. I love colorful cities like that, looks so beautiful! Super cool! 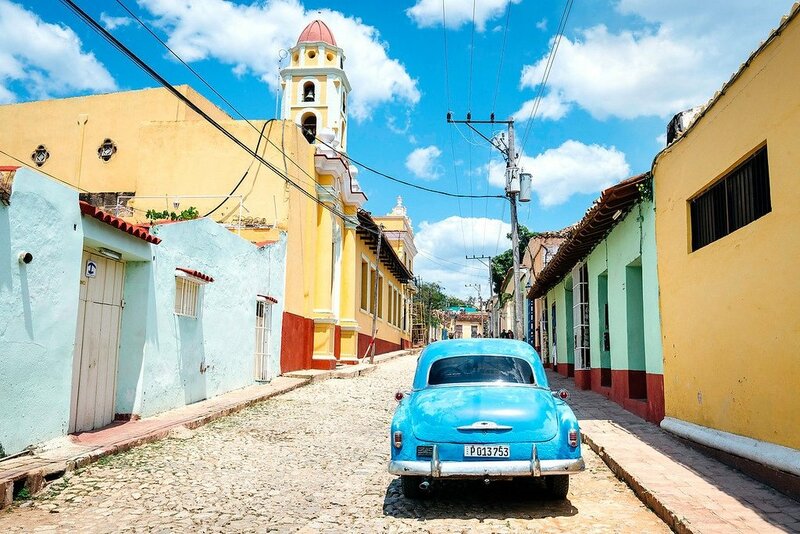 Cuba is my all time favorite…..and I must say amazing pictures. Simply loved it! I am stunned by the beauty of Cuba. What an amazing place! Lovely clicks! Thanks for sharing. 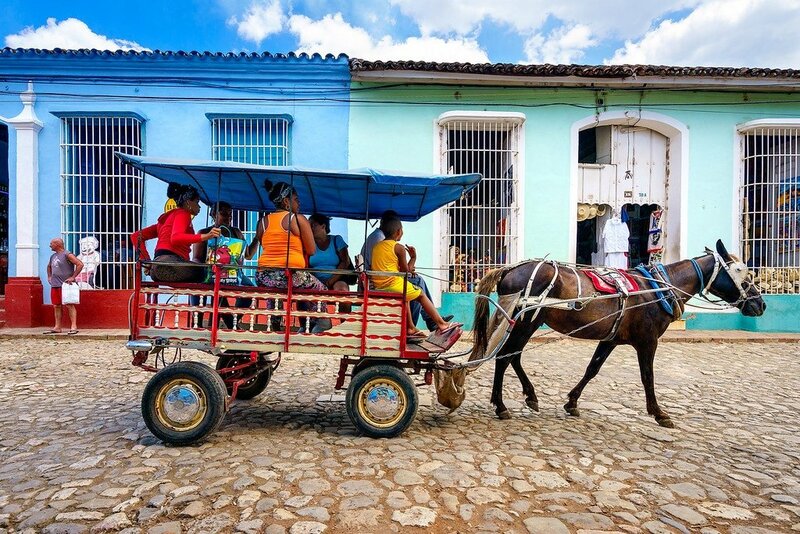 Great photos, we were in Trinidad 7 years ago and it was the highlight of our stay in Cuba. Like you,we took the Viazul bus from Havana and stayed in a Casa Particular (from the looks of the top photo, just a few blocks over from where you were). Oh cool! Yeah I think more and more people are traveling to Trinidad these days, now that it’s become a hot destination for more Americans. Great article. I was in Trinidad this a few months ago and loved it. It is the most photogenic city I have ever been to. I have a few similar shots to you :) For anyone heading to Cuba a fun game to play in Plaza Major is “count the the Lonely Planet guidebooks”. When I was there it seemed like every second person who walked by was holding a Lonely Planet guidebook (myself included). I have never been somewhere with so many other travelers. I thought it was great; very easy to meet people. Finally, if you are a bit of a photo nut go on the self-guided Lonely Planet photography tour (it is in their Cuba guidebook) during the “golden hours”. You will meet lots of traveling photographers this way and you can swap photo locations and tips. It’s tons of fun. Hey Sarah, that’s too funny! I didn’t notice all the guidebooks, but it makes sense. Golden hour in Trinidad is a wonderful time for photography for sure. I am loving the architecture. Cuba is definitely going to be one of my next trips. My husband is an old car kinda guy and now I know he’ll love it too. Trinidad is a lot like Antigua, yeah. It’s fun to get a glimpse of what life was like back in the 1800’s.